Expectations are everything at the World Cup. A narrow loss in the Round of 16 might be a generationally humiliating result for one team while being a heroic feat of determination and resolve for another, with the lines between the two being drawn based on what was expected from each team coming into the tournament. 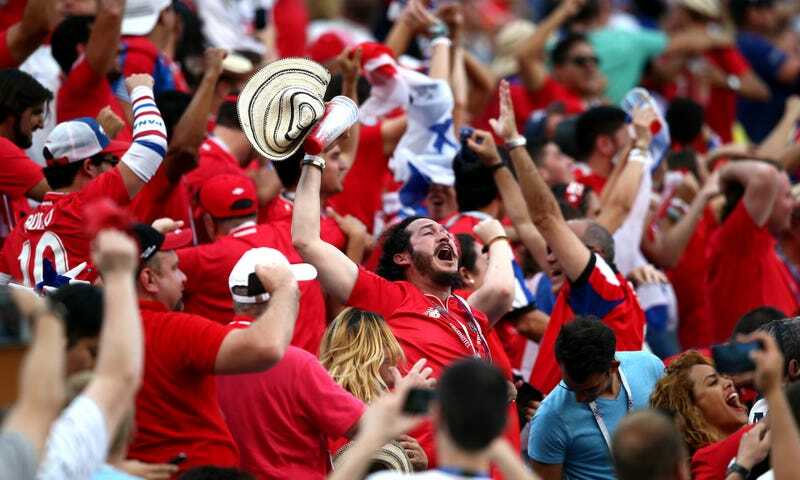 It was the expectations for Panama, where they were ecstatic just to be in a World Cup for the first time in history and would be happy with whatever happened in Russia, that made their 6-1 beatdown loss at the hands of England a glorious and unforgettable triumph. Panama were never going to compete with the likes of England and Belgium in this tournament, and even mustering a single point in group play would be an upset. The true reward for Panama’s fans and players was simply being there in the World Cup in the first place. Which is why scoring just that one goal, against a historical power and the inventors of the game no less, gave an already special tournament a touchstone moment that will go down in as one of the happiest ones in the country’s sporting history.